I am a concertina player and singer, and since 2007 have taught at a number of workshops in England and Germany. Playing an English Tenor-Treble and Bass-Baritone Concertinas, I play a range of styles, from Classical, to Spanish Classical guitar arrangements, and most recently Jazz and Folk styles with singing. 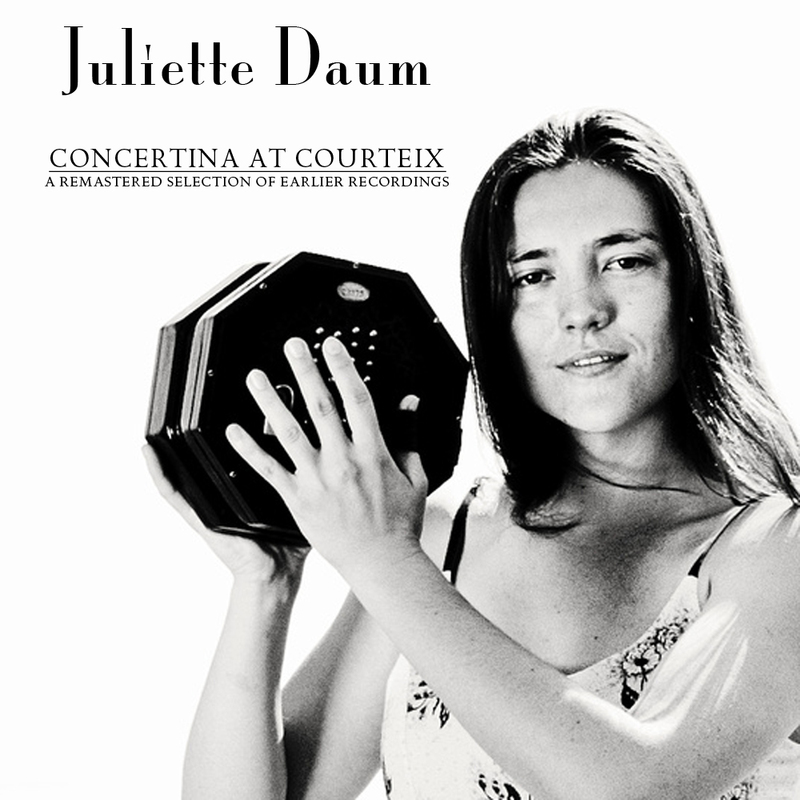 I have had a selection of pieces from my original instrumental albums ('Juliette et le Concertina', 'Bach's Truffles' and 'Mallorca Dulce y Picante') remastered and compiled onto my album 'Concertina At Courteix', which is on sale. Please check out my videos to see examples of the instrumental classical concertina pieces on my CD, as well as my upcoming singing projects. A remastered selection of tracks from Juliette Daum's early recordings at Courteix, France. Featuring my own concertina arrangements of classical music by Bartolome Calatayud, J. S. Bach, Claude Thomain and Manuel Ponce. Visit my CD Baby account to listen to previews and download individual tracks (link), or you can buy the CD for £10 plus postage.